How do part number differs between long side terminal KRL and short side terminal KRL? Is it easy to identify ? The length of the terminal side is the first 2 (or 3) digit in size designation. 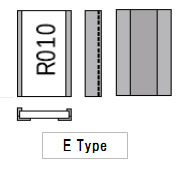 For example, long side terminals are 3216, 2012, 11050, short side terminals are 1632, 1220, 5010. There is E or D after size designation in KRL part numbers, how are they different ? They are terminal type designators. 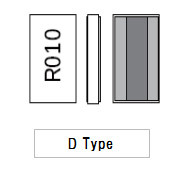 D means bottom terminal and E means wrap around terminal. Last 2 digits designate the packaging size. It depends the product series and size. Please refer to catalogue under each series. What is the main difference in performance between long side terminal and short side terminal KRL series ? Long side terminal products dissipates heat better. Therefore, there is a difference in power ratings in the same size long side and short side terminal products. KRL series has 2 terminal type and 4 terminal type. How does their performance differ ? Four terminal type has separate voltage terminals and voltage can be measured more accurately. Land pattern can be simpler for 4 terminal type. KRL series has high temperature type and low EMF (Electro motive force)type. How do we decide which to choose ? Typically High temp type is chosen because you can use it at higher temperature but if there is a need to control electromotive force (less than 1mV), use low EMF type. Do KRL series meet automotive reliability ? It is compliant to automotive electronics standard AEC-Q200. It is widely used for automotive electronics. Is any of the current sensing resistor sulfur tolerant ? None of Susumu's chip resistors use Ag in their terminals. Therefore they are all sulfur tolerant. 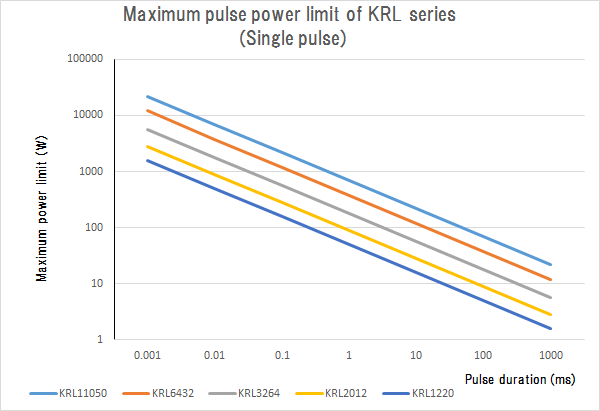 What is the maximum pulse power limits for KRL series ? It depends on long side or short side terminal and, product size. Sigle pulse maximum power limit chart is shown here for product series. Where can I find recommended land patterns for KRL series ? They are shown in Product technical report. Please be aware that the same size products may have different land pattern in very low resistance products. Can they be solder dipped ? E type can be solder dipped (260oC for 10 seconds). It is not recommended for D type because it does not form solder filets and cannot be examined for soldering quality. How much does resistance change by soldering ? It is specified within +/-0.5% for KRL series. Is packaging tape paper or embossed ? KRL series are packaged in embossed tape. For details, refer to Product technical report.